Auto dialer software automatically dials telephone numbers pulled from a list and connects either to a live agent or a prerecorded message. Auto dialers eliminate the tedious task of manually dialing individual phone numbers, enabling representatives to instead focus on the content and delivery of their messages. Auto dialers are used in a wide variety of settings and industries, including sales, health care, education, and hospitality. Auto dialer software often requires a computer, a voice modem, and an active telephone line, though cloud-based solutions are also available. Some solutions require businesses to buy and host the necessary hardware themselves, while others bundle hardware hosting into their product for free or offer an additional subscription. The required hardware isn’t always specific and instead the application can run on a computer or cell phone. Many auto dialer products integrate directly with existing CRM software or are built into contact center infrastructure software or telecom services for call centers, but there are also plenty of standalone options as well. Auto dialer software also has broad overlap with outbound call tracking software. They are distinct in that auto dialers will automatically call phone numbers from a list whereas outbound call tracking software needs to be prompted to call and is focused around storing data from the call itself. Auto Dialer reviews by real, verified users. Find unbiased ratings on user satisfaction, features, and price based on the most reviews available anywhere. Talkdesk is a next-generation, cloud-based contact center software that helps deliver delightful customer experiences. Unlike legacy systems, Talkdesk can be quickly and easily deployed without phones or hardware. Talkdesk’s web-based interface provides robust, enterprise-level contact center functionality with advanced features, comprehensive reporting and seamless out-of-the-box integrations with 25+ business tools, including Salesforce, Zendesk, Desk.com and Slack. Talkdesk empowers contact center managers to make data-driven decisions based on comprehensive information and contact center agents to have personalized, effective conversations with customers. PureConnect is an all-in-one omnichannel engagement solution that is rapid to deploy, simple to administer, flexible, easily tailored, and cost-effective for mid-size to large organizations. Available both in the cloud and on premise, PureConnect lets you replace multiple point solutions with a single platform that supports empowered employees and loyal customers. Do more with less An all-in-one multichannel platform enables you to deliver a better customer experience while greatly simplifying administration, increasing operational performance, and reducing total cost of ownership. Speed time to value A single set of broad and deep applications allows you to rapidly deploy and turn on new applications and services when you’re ready— new functionality is built right into existing interfaces. Maximize flexibility and protect investments An open, standards-based architecture gives you the flexibility to tailor applications to meet your unique business requirements. You also protect investments by integrating PureConnect with any existing application. Reduce risk The market-leading PureConnect platform reduces your business risk. For cloud customers, you can minimize risk with your own instance of the application, have the option to keep voice traffic and recordings on your network, and control the timing of updates. Five9 is a leading provider of cloud contact center software, bringing the power of the cloud to thousands of customers and facilitating more than three billion customer interactions annually. Since 2001, Five9 has led the cloud revolution in contact centers, delivering software to help organizations of every size transition from premise-based software to the cloud. For more information visit www.five9.com. Customer relationships can be complex, but that doesn’t mean they have to be difficult. The Genesys® PureCloud® solution makes customer relationships simple. Built to handle any channel, the PureCloud platform follows the conversation everywhere—turning calls, email, chats and social comments into a seamless conversation. Connect with Customers The PureCloud platform simplifies the way you connect with customers across channels, providing all the context you need to deliver more personalized experiences and build stronger relationships. Empower Your Teams Give your employees the information they need in a tool they’ll love using. Get an all-in-one application built to engage your employees and boost your team’s performance. Understand Your Business With real-time dashboards and up-to-the-second analytics, the PureCloud solution provides the insights you need to run your business—no matter where your agents are located or which channels they handle. Our award-winning software deploys in days, is intuitive to use and continually innovates with upgrades each week. Use it as an all-in-one application, easily add hundreds of packaged integrations, or customize the platform and make it your own. 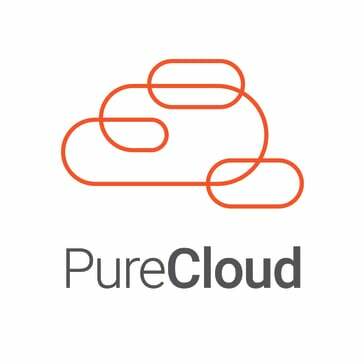 PureCloud is built for people and built for change. CallFire provides easy-to-use, self-service voice marketing solutions to thousands of businesses across the US & Canada. We specialize in helping local businesses grow and retain their revenue with outreach and engagement services such as IVR, Voice Broadcast and Call Tracking. In addition to serving local businesses, CallFire empowers non-profits, religious groups and other organizations to connect more effectively with their audiences. CallFire is headquartered in Santa Monica, California with affiliated offices in Austin, Texas and Kiev, Ukraine. Mojo Selling Solutions is the company behind the Mojo Dialer and Mojo Real Estate Data service. Mojo services are used by thousands of Real Estate and sales agents all over North America. RingCentral Contact Center is an omnichannel solution that lets customers choose their preferred method of communicating with your company, including voice, chat, social media, SMS, email, and more. Intelligent IVR and self-service options—tightly integrated with smart routing functionality—help customers connect more quickly to the agent who can best handle their needs. Industry-leading tools help you optimize staff scheduling, improve call-center efficiencies, survey customers, and more. Plus, RingCentral Contact Center works seamlessly with Salesforce® and other popular CRM platforms. Sharpen Technologies has developed an agent-first omni-channel cloud contact center platform. Its solutions uniquely address long-standing agent issues responsible for sub-par customer experiences. Sharpen’s patent-pending Agent Experience Score (AXS) gives contact centers a new way to measure and track not only performance, but overall agent well-being. The company’s unique omni-channel approach gives agents a single interface for communicating across any channel. A global, cloud-native platform eliminates scalability issues while delivering mathematically unbeatable voice quality. Sharpen was named among the Best Places to Work in Indiana. The company is also a recipient of the Stevie American Business Awards. Sharpen was founded in 2011 and is headquartered in Indianapolis, Ind. Voiptime Cloud call center is a versatile automated calling software for sales & marketing departments and call centers. Our software is designed to keep your agents fully engaged and help your sales managers facilitate better results. You will be able to triple the number of outbound calls and reduce manual work. Increase the productivity of your team and watch your business grow! Key features of Voiptime Cloud software: 1) Built-in CRM - manage leads using comprehensive CRM, check their interaction history and listen to call records in one interface. You can easily organize lead distribution between sales reps or call center agents. Just create a project in built-in CRM and assign the reps who can work with it. 2) Call campaign management - create and monitor the progress of multiple call campaigns. Maximize the talk time with auto answering machine detection. 3) Multiple dialing modes - choose the dialing mode that suits your business needs the best (Preview, Power or Predictive dialer). Set up flexible redialing rules to increase connectivity. 4) Internal and external call transfers - easily transfer the call to another user or external phone number.ACD and intelligent routing of inbound calls - increase customer satisfaction by connecting customers with their personal managers. 5) Agent status monitoring - helps to track the current statuses of the whole team and to understand who is ready for call processing. 6) Team management - create agent teams and distribute tasks (inbound and outbound call campaigns) between them. Prioritize tasks for better productivity and handling the additional call volume. 7) Real-time and historical reporting - allows monitoring of both sales and call center performance indicators as well as call volume. 8) API integration and webhooks - capture leads from the website, dial them ASAP and transfer data between Voiptime Cloud and your business system. Benefits of Voiptime Cloud software: - Quick launching. You don't need IT-staff for call center deploying or complicated integrations with IP telephony and CRM. All you need for starting calling is a PC and internet connection. - All-in-one solution - autodialer, call campaigns for multiple users, intelligent routing of incoming calls, call recording, lead management, follow-ups, tasks scheduling, detailed reporting, WebRTC phone etc. - Customization - your client card could be configured differently for different projects. Create as many custom fields as you need. - Transparent pricing - you don't need to pay for setup, activation of outbound channels. Always get what you are paying for. - Reliability and total security - all your data are encrypted and saved in a certified data center, telephony is also protected by firewalls. We guarantee 99.5% uptime. - Professional support - our support team is always ready to help you. We also provide additional guides and knowledge base for you to start working with our software effectively. - Scalability - add or remove agents when you need it. CallShaper provides a Cloud Based Hosted Dialer solution that blended dialing, various outbound dialing algorithms including predictive; multiple lines per agent, full recording with QA features such as Whisper& Barge, and Built-in Scorecards to increase the performance of agents, get the most out of lead sources, and improve bottom line. Ring.io is a dialer platform for Salesforce and Zoho CRM that makes sales teams more productive. With click-to-call & power dialing modes, Ringio enables your sales team to spend less time tracking activity and more time selling. Call recording and analytics helps sales leaders identify best practices of high-performers to spread throughout the sales team. A simple interactive voice response (IVR) function lets you customize your call routing and answering for a rich customer experience. AgentDialer is a predictive dialer and a semi-automatic dialer combined system. A Star Auto Dialer is an automated calling application that uses excel worksheets as input in order to easily call and engage customers. Automated Calling is a Telemarketing Software that allows to speaking to do prospection instead of receive traditional calls. BigmOuth is a voice mail and phone tree auto dialer package. This award winning software application generator and single-line hardware card is designed for easy creation of voice mail, automatic call transfer, interactive voice response and auto dialer applications. It includes resources for message notification, paging and remote access. The Callback Tracker is an essential tool for any business that promotes its services online. It helps initiate a conversation between you and your potential clients, and makes sure that they won't leave without a way for them to connect with you again later. Predictive dialer software from CallCenterHosting comes with an intelligence that decides when to call a customer. You don’t need to do anything, just feed it with the bulk of customer data. It calls automatically at the right time. And as soon as the call connects, it routes it to the next available agent. Calley is a great Auto Dialer Tool for start-ups, sales teams, HR companies or event companies. CallOnTheGo is a mobile dialer tool that increases work productivity by automatically dialing telephone numbers and reporting. ChaseData's cloud based Call Center Solution offers leading edge technology and value for call centers with 5 or more agents. Superior performance, customer service, and user friendly interfaces make ChaseData the clear choice for your business needs. Outbound predictive dialing, queued progressive dialing and managed preview dialing are combined in one powerful software suite which easily integrates with a multitude of third party applications. Contact us today to request a free demo. ClientCallPlus is an automated phone-based solution that allows small businesses to generate more revenue and to free up time for important objectives. Cloud Predictive Dialer automatically contacts leads while agents are busy finalizing calls, minimizing the time spent between interactions and improving productivity. ContactPro Hosted Dialler services include CRM integration, scripting, telephone survey data collector, call recording, PCI compliant payment IVR, intelligent call routing and callback scheduling and automation. DialersPro Predictive Dialer is a telemarketing system that creates and manages leads and sale appointments. Dynamics Telephony is a professional-grade telephony application for Microsoft Dynamics CRM. Hello Hunter is predictive dialing software. VoIPInvite delivers browser based hosted call center software resulting in all software including application and soft phone residing and operating from the cloud and supporting Six modes: Outbound, Inbound, Blended, Preview, Click to Call, and Broadcasting. Hosted Dialler Solution is a pay as you go software for predictive dialler. The dialer is the best solution for any call centre that doesnt want to lose valuable time making calls that could be considered dead-end or go unanswered. NICE CXone Personal Connection is a patented proactive predictive dialer that generates more revenue and fewer hang-ups. NICE CXone Personal Connection gives your Inside Sales team an easier way to attain quota by connecting with more prospects every day, and helps your Customer Service team reduce inbound calls through personalized, low cost, and proactive outbound notifications. OSDial is a full-featured predictive dialer, that uses Open Source licenses to greatly reduce the cost without sacrificing quality or functionality. Predictive dialer PBX is a solution that increases productivity with predictive dialing technology that drives sales growth and marketing success. Predictive Dialer is a software enables call centers and businesses to make more calls per hour without increasing the number of agents. Predictive Dilaer is a web-based solution with features such as inbound/outbound call handling, real-time statistics, and recording. Primo Dialler provides cost-effective and industry-leading dialler solutions for call centres. Ringio Virtual Phone System is a predictive dialer software that helps sales and customer support teams increase productivity and deliver better interactions. SalesDialers is a dialing Sales software that help to make and track leads. 100% Cloud-Based Dialer & Lead Management Technology - Empower Your Telemarketing Teams with an Industry-Leading 10X More Conversations! Try us for 7 days FREE and see immediate results: No pause when connecting a call, unlimited dial-out lines, seamless integration with your current CRM, powerful workflow automation, and much more! Whether you are a company of 1, or a team of 100+, Sales Sling will elevate your telemarketing game like never before. The SpitFire Enterprise Predictive Dialer utilizes sophisticated algorithms to speed up and slow down the call rate based on, number of available agents, number of available lines, the campaign's average call time and other statistical information. Campaigns settings are designed to comply with state and federal regulations. This functional, flexible communication platform offers the power of a premise-based dialer, combined with the cost-effectiveness of a cloud-based system. Hi there! Can I help you find the best Auto Dialer solutions?